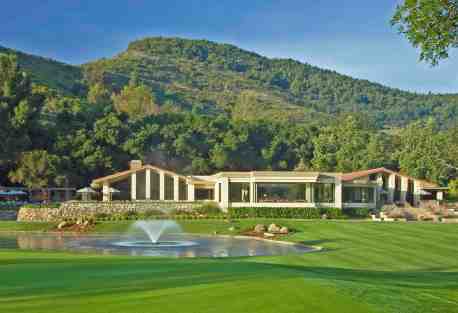 Pauma Valley Country Club is a private country club tucked away in the foothills of Palomar Mountain, San Diego North County. It’s the location, history of the club and the Pauma Valley lifestyle that make this club so special, say its proud members. Pauma Valley Country Club features a spectacular Robert Trent Jones, Sr. Signature Golf Course which opened for play on November 1, 1960. Since then it has gathered awards and loyal followers while always being maintained in top condition. The views from several of the holes of the surrounding mountains, avocado and citrus groves are stunning, showcasing the area on numerous television shows such as Shell’s Wonderful World of Golf. The course has been listed among the Top 100 Best Courses in the U.S. and as a Top 10 club in California by Golf Digest. Pauma Valley Country Club has also hosted the U.S. Open qualifier many times and has hosted many other high-profile golf events. Most recently the course hosted the 2011 U.S. Mid-Amateur Qualifying event and the 2006 and 2007 U.S. Amateur Qualifying tournament. Pauma Valley members enjoy a wide array of amenities. In addition to the golf course, the pool complex, tennis courts, practice facility, newly renovated fitness room are always active. The club is also noted for its fly-in airstrip, completely outfitted woodworking shop, Grill Room, outdoor terrace and cottages. 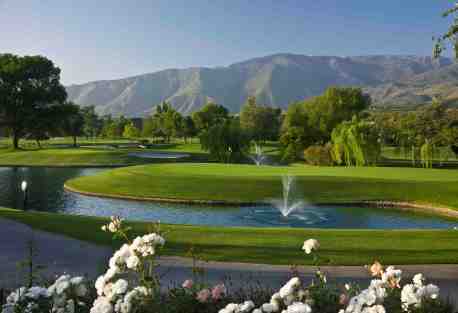 There are many reasons to join Pauma Valley Country Club. Some people like spending the day with friends in a special environment that was featured on ‘Good Morning, America.’ Still others love the “Club” feeling that includes hundreds of social events per year, including holiday parties, dances, live entertainment, dinners, wine tastings and more. Many of the members participate in the golf groups, weekly golf games—both competitive and for fun—and tournaments hosted by the club and fellow members. Members come from as far as Canada, Massachusetts, Vancouver and Chicago because of the way they are treated once inside this gated community. Members at Pauma Valley Country Club are not pretentious—they are here for the fun and to share in the camaraderie. For information on real estate at Pauma Valley Country Club, see the real estate section below. A wide variety of real estate is available at Pauma Valley Country Club. Single-family homes, condos, cottages, even fractional real estate. For more information, contact Chuck Vuytowecz, (O) 760-742-1200 or (C) 619-607-0314. Named a Top 100 Best Courses in the U.S.